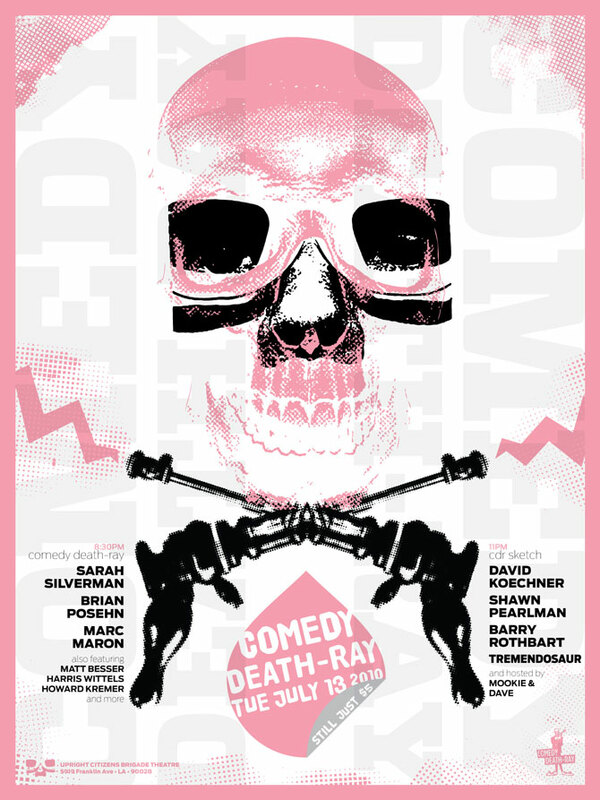 Comedy Death-Ray (AKA “CDR”) has been “The World’s Best Comedy Night” since 2002. Running every Tuesday night, at the Upright Citizens Brigade Theatre in Los Angeles, CDR is also premiering their new IFC television show “Comedy Bang Bang.” For this poster, we deconstructed the CDR logo: a skeleton in a suit holding a ray gun. To reinforce a connection to the Upright Citizen’s Brigade Theater, where the show takes place, we overlaid the UCB logo onto the skull.